Ble Greek Kouzina is a modern Greek dining experience with imagination and passion. Ble is led by Executive Chef, Natalia Gaspari, of recent 'Chef's Line' fame. 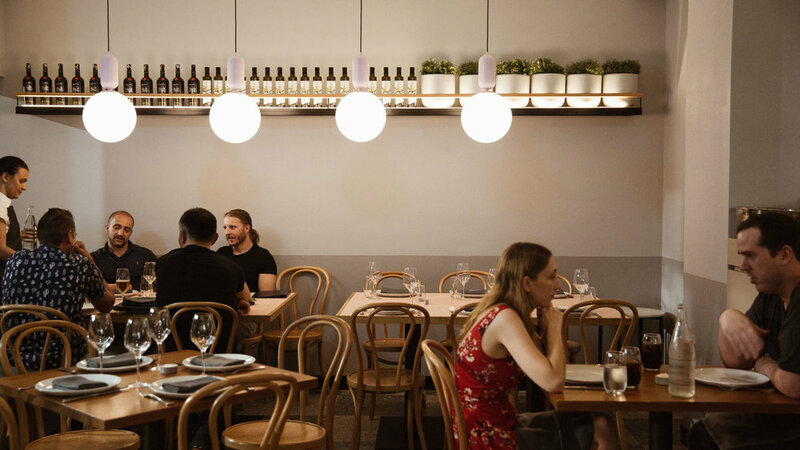 With over 15 years experience in both Greece and Australia, the Ble menu has been designed for sharing with family and friends using the finest of ingredients inspired by the classic Greek Kouzina. Executive Chef Natalia Gaspari, and her Team welcome you to Ble Restaurant. "Their pride in the kitchen radiates like white-ashed charcoal"
"When it comes to food, getting the matriarch's approval is something that transcends many cultures. By this measure, Ble Greek Kouzina has nailed it." Call our reservations team on (02) 9529 4335 or book online with OpenTable. All groups of 10+ guests will be required to dine on one of our set menus. A 5% service fee applies for all group bookings. Ble Restaurant is the perfect space to bring family and friends together for celebrations. Designed by D17's Paul Papadopoulos, the venue look and feel is well-styled for Christenings, Engagement Celebrations, Weddings, Birthdays, Corporate Events and Private Celebrations. Custom designed menus and cakes are available for all private events. Exclusive hire of the venue is available 7 days a week, with a great onsite team that well help guide you through all the details of planning your next event. With both indoor and outdoor spaces available, guests can make full use of the space to create a day not to be forgotten. Speak to our team today for pricing and availability for your next event. For all group booking requests, private event enquiries, and media requests please submit your request with details to our friendly team at Ble Restaurant..